I swatched out 13 more Wet n Wild Megalast Lipsticks here. Today is 967 - Dollhouse Pink! This is an ULTRA bright, light pink color. It looks like, well... Pepto Bismol. It is a bright-white pink with faint violet tones. If you wear it full strength, prepare for it to be very, very bright. Bluntly, I didn't think it looked good at all when I wore it full strength. However, after letting it sit for about 20 minutes, and then blotting, it looked lovely. So, I would recommend this color, but only if you blot it. 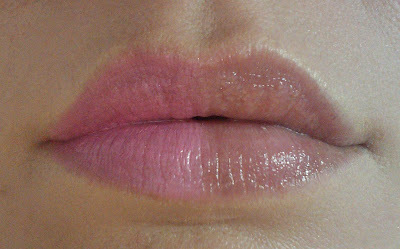 Now, a thin layer, applied with a lip brush. 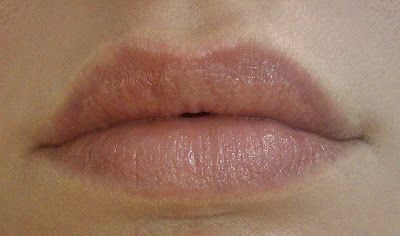 I left half of my lips bare for comparison. Now for what I would call full strength (two layers). I applied with a lip brush. Keep in mind that this is a matte formula, but it does go on creamy. 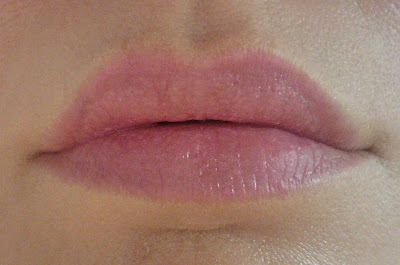 If you put some lip balm on your lips before applying it, the formula will remain a satin finish. If you apply the lipstick without any balm, the finish will look matte, but will feel satin on your lips. This color does intensify with a second coat. Here is a pic showing the same stage, but zoomed out a bit to give some perspective. Next is full lip. 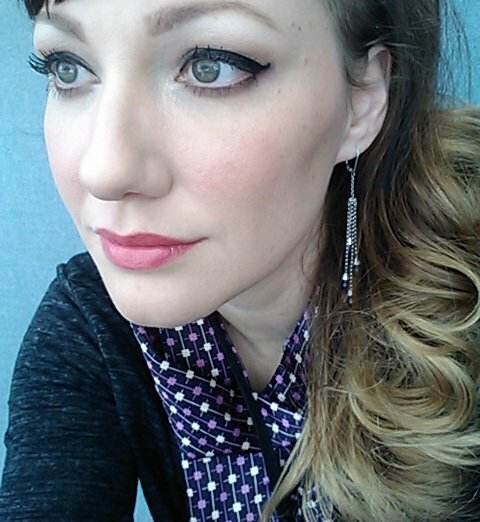 I applied with a lip brush, and I put on about 2 coats. This lipstick is very opaque. Finally, here it is after letting it sit for about 20 minutes, and then blotting it. I let it sit because these lipsticks tend to stain, so I wanted to give it time to really set the color.